The first episode of BBC's Dr. Who adventure games is out and already being enjoyed by our British sci-fi-loving nerd brethren overseas. Apparently "it rocks," or so says Kotaku tipster Dan2593. 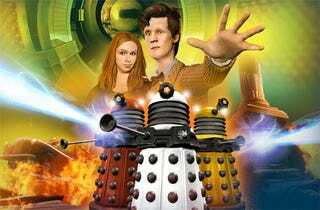 Doctor Who: The Adventure Games kicks off with "City Of The Daleks" today, a few days earlier than expected, a free download for PC gamers currently residing in the right region. The rest of us will be able to purchase the games, scratching our Dr. Who adventure itch, sometime in "early July." Who out there in Kotaku UK land is currently playing Doctor and what do you think? Worth paying for?